With the holidays quickly approaching it might leave you wondering if your house is ready to have guests. Is it clean enough to make a good impression, and did you check everything to make sure? With all the guests that could be walking around everyone, don't you want them to be able to walk around without fear of getting dirty. If you plan on having more than one party will your carpet be able to stand up to that many guests all at once. 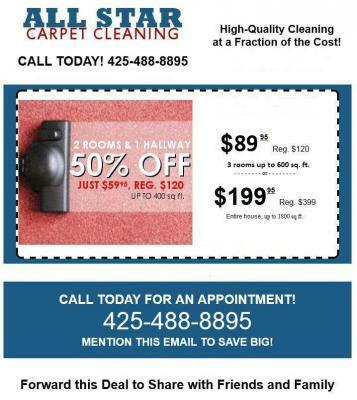 We can handle all of your Kirkland, WA carpet cleaning needs so you won't have to worry about them later. With our services we can get any dirt and stains out of the carpet easily so that you won't have to stress about it. Instead it will leave you free to focus on getting the party set up and spend more time focusing on enjoying the party when it happens. And we can keep up the good work for you through the holidays as well as all year around. Perhaps you might be planning more than one party this year. Not a problem since we take your Kirkland, WA carpet cleaning needs seriously. We want you to make a great first impression on your guests and will help you to achieve that by providing the best carpet cleaning services you have ever dreamed of. And we will work with you on your schedule so we are there when the time happens to be convenient for you. Give us a call today and we can set up an appointment. The sooner you call the sooner we can get started and have your home ready for your next great get together.